Creative Daemons: Flying my dragon. 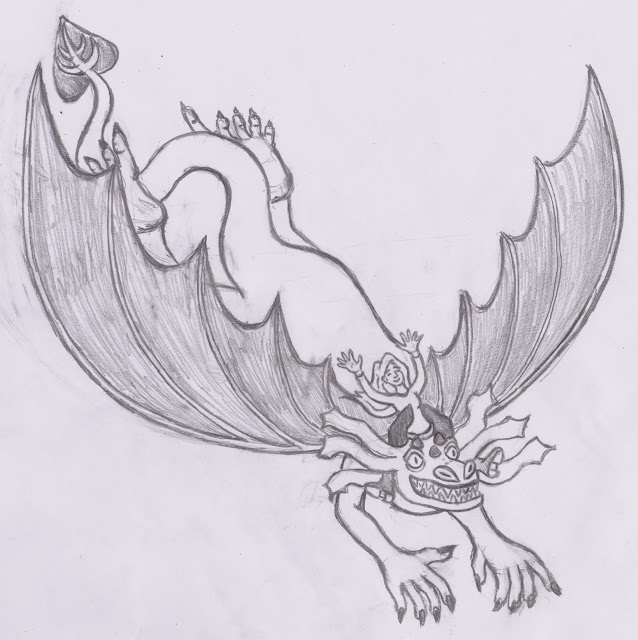 Quick little sketch of a mini-me flying Guzzler the dragon from my children's book. It looks weird without its scales, hehe. Book cover for "Guzzler The Greedy Dragon"